Per your request, I have added a new tab to my menu bar called ‘recipes’. Here is one of our new favorite recipes that I just kind of made up and we’ve been eating at least once a week! 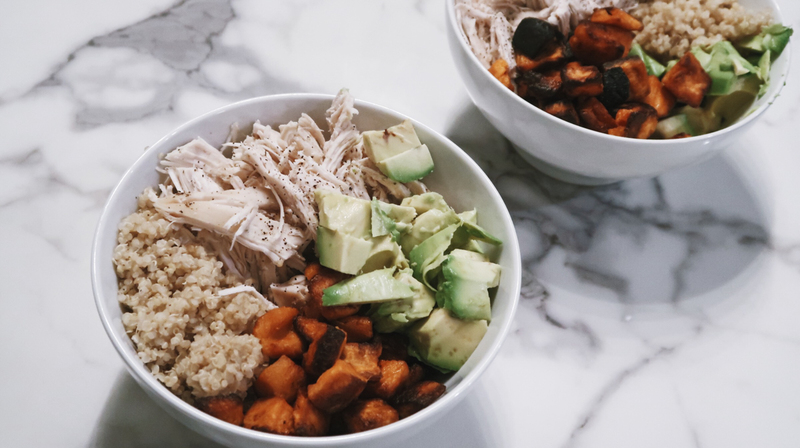 I call this the Quinoa Chicken Avocado Bowl….because what else do you call this?! You could substitute the quinoa for brown rice if you wanted, but we always prefer quinoa because it’s less carbs and more protein. Additionally, you could opt for fish instead of chicken but chicken is usually our go-to. Lastly, the salsa is completely optional but we like that it gives the bowl more flavor and a little bit of moisture (ew that sounds weird) because it’s pretty dry otherwise. 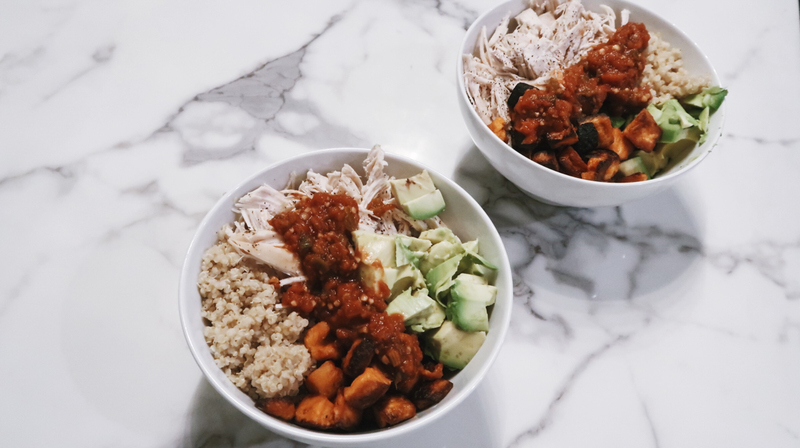 This bowl is loaded with protein and made with very few seasoning/condiments, which makes it both easy & clean! Scroll below for the full recipe…. Trim the chicken and season to your liking (we add black pepper only). Add the chicken breasts to the pressure cooker with 1 cup of less sodium chicken broth + 1 cup of water. Add 1 tablespoon of fresh minced garlic. 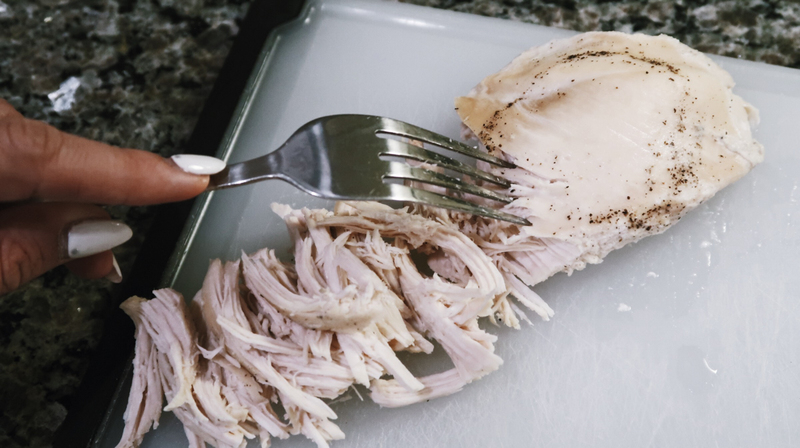 Cook time in pressure cooker is 15 minutes for perfectly shredded chicken (if you don’t have a pressure cooker, you can boil the chicken). To shred the chicken, just take two forks and pull it apart going along the grain of the chicken. Poke holes in the microwave-safe bag and microwave for 3-4 minutes. If you decide to cut the sweet potatoes yourself, make sure you boil them for 5-6 minutes before placing them in the oven. Line a pan with aluminum foil and cover in a thin layer of olive oil (this is to ensure the sweet potatoes don’t stick to the aluminum). Spread & space the sweet potatoes out so they can each be cooked thoroughly and sprinkle with salt. Cook for 25 minutes at 400 degrees. 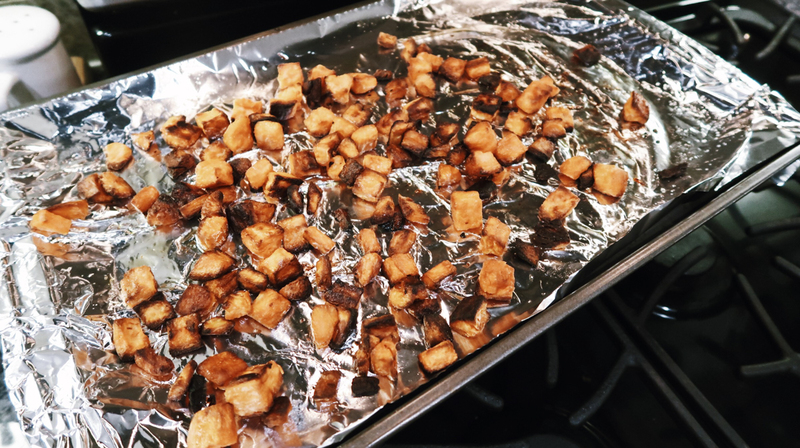 Turn the oven from bake to broil and broil on high for 5-10 minutes depending on how crispy you like your potatoes (we like them extra crispy)! Follow the instructions on your box of quinoa…typically it is 1 cup of quinoa to 2 cups of water. We use 1/2 water and 1/2 less sodium chicken broth to give the quinoa flavor. 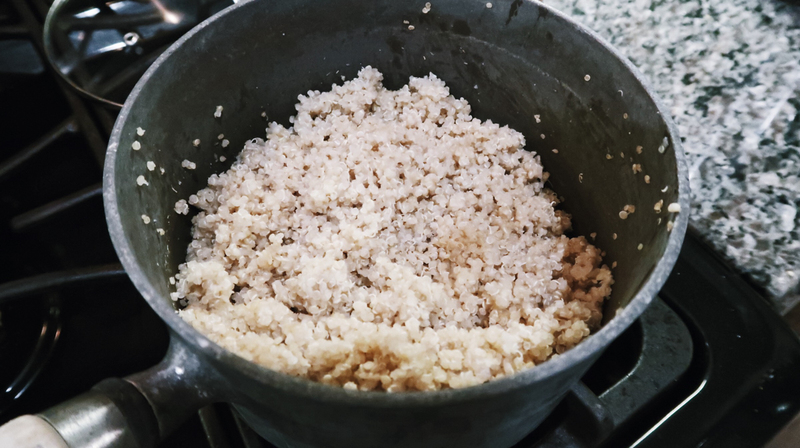 Bring quinoa to a boil, reduce to simmer, and cover for 15 minutes. 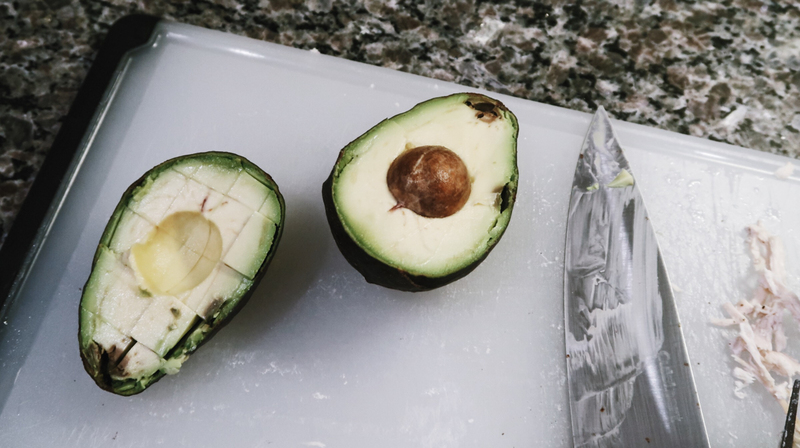 Garnish with fresh cubed avocado and low sodium salsa!